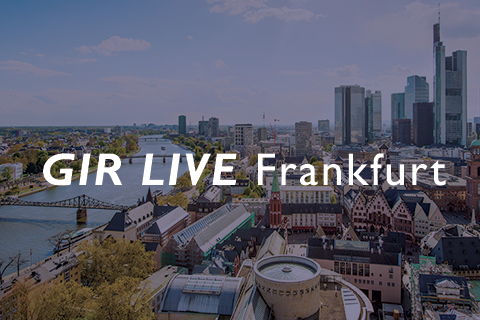 FRA Director, Edward Nkune, attended GIR Live Frankfurt on 6 November. Below are his key insights from the event. Spoke with a German focus but first examined the position in the US with regard to US led FCPA investigations. There is strong interdependence between Germany and the US. Obviously, this leads to criminality and acts by German criminals which can affect US entities leading to US investigations. A number of high profile cases including Siemens, Mannesmann and “Dieselgate” have raised the profile of white collar crime in Germany but it is still a small fraction of total criminality. With regard to investigations, there is a fundamental clash between an internal investigation (which tries to get as much info as possible) and attorney client privilege. It has become the norm in Germany to retain specialist law firms for several different purposes. In the US, internal investigations into potentially criminal acts are privileged but in Germany they appear to be subject to the code of criminal procedure. This is contradictory since the monopoly for criminal investigations in Germany belongs with prosecutors. Internal investigations are not constrained by the same rules that law enforcement has and have greater resources. During interviews under labour law, individuals are obliged to answer which is again in conflict with clearly defined criminal proceedings rights and safeguards. Protection has been developed against state not against other individuals. Protecting a company needs consideration of which jurisdiction companies should store documents which is a bad state of affairs and could obviously cause direct issues with regard to perceived cooperation. The number of internal investigations will go down and their quality will be lower and there will be further development of keeping data overseas, including interviews, if they occur at all. Company law in Germany requires a company to “get to the bottom of things”. Maintaining a scandal is bad and main impact is reputation and loss of key people. Internal counsel don’t wish to be seen as the longer arm of the prosecutor. US prosecutors are very clear about a price list. They expect 1,2,3,4. If not, there is no declination. Not the same in Germany. US lawyers were alarmed by the raid on JD. Privilege is drummed into them and every decision they make considers it. Internal counsel from DB (Robert Muller) suggests that they assume everything will be handed over to someone e.g. waiving privilege so need to consider this when something is created. Huge difference between regulated financial institutions and other organizations since regulated bodies have to demonstrate that they have investigated properly. Regulator will also expect a firms records to be accessible within the country and not offshored. Huge conflict between German labour law and e.g. DFS with regard to not allowing sacking versus demonstrating overhaul of poor management. Criminal offence, Swiss Blocking statute against removing evidence for overseas investigations by law enforcement. Even interviews!! Conflict with DOJ who says you must provide evidence. Need to seek authorization from Swiss authorities. Makan Delharim, head of antitrust calling for global alignment in the process may lead to concerted efforts rather than sequential and this speed things up.